Do you trust employees to do everything perfectly to help mitigate fraud risk and help reduce credit card processing fees? 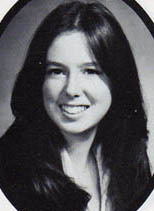 I hope not and here’s a story that illustrates a classic cashier blunder. A retail cashier using my virtual terminal called and explained her problem. Whenever she key enters a transaction, the supervisor approval button pops up. She then turns to the desktop terminal from their old vendor, “and the transaction goes through just fine”. Upon questioning, I determined the cashier is entering fake information in some required fields, including zip code. This merchant is using our intelligent virtual terminal. Because the merchant has created a set of rules that requires the zip code to match on a key entered transaction, which reduces the risk of fraud, each time the zip code doesn’t match, only a supervisor can override to accept the transaction. The right virtual terminal selection can improve profits by eliminating costly employee mistakes that can result in higher credit card processing fees, fraud losses, and chargeback fees. Our intelligent, rules-based virtual terminal dynamically prompts user actions, and doesn’t leave it up to employees to make decisions that impact merchant profits. Most virtual terminals work almost exactly like desktop terminals, except their in the cloud. They have no intelligence at all. Rules based- user is dynamically prompted for different information based on variable inputs including type of credit card (debit, corporate etc), whether it’s key entered or swiped. Any system is only as good as the implementation. Old equipment should be removed after new solutions have been successfully installed and tested. 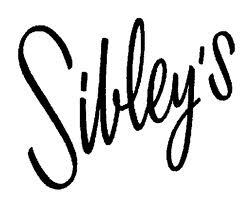 Blog Author tidbit: In high school I was a cashier at Sibley’s department store for the Christmas season selling gloves and scarves. I used a cash register. PS The merchant removed their desktop terminal from the store and the cashier has been informed by management to enter the right information.